Du PontTM Corian® is beauty, colour, depth. It is superior strength, reliability and performance, but above all it is a source of inspiration, a versatile material that can transform any space and give personality to any environment. Corian® can be shaped, sculpted, cut and joined in any shape and size. It can also be engraved, milled and backlit to obtain shapes and effects of great charm. 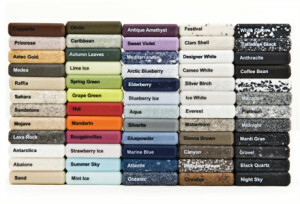 Corian® may be the solution for many application needs of planners, architects, businesses and consumers. Du PontTM is a trademark and Corian® is a registered trademark of E.I. du Pont de Nemours and Company or its affiliates. Du PontTM Corian® is a solid material, an advanced composite made up of natural minerals and high purity acrylic polymers. 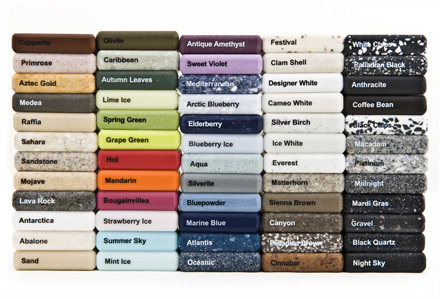 Corian® is durable, non-porous, resistant to wear, easy to maintain, and, if damaged, can be repaired in most cases. It is marketed by Du PontTM in the form of sheets and semi-finished as sinks and washbasins. Du PontTM produces a variety of sinks and washbasins in Corian®. Combining sinks and washbasins with a flat surface creates a countertop with a monolithic appearance, with no gaps in the joints where bacteria, dirt or mildew can lurk. Du PontTM has created a Quality Network of laboratories, which employ certified professionals able to guarantee the correct production and installation of products. 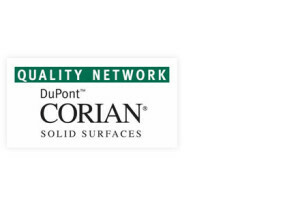 The primary objective is to ensure complete customer satisfaction in Corian® installations. LPT is laboratory no. 84 in the Quality Network.